One of the best in the tabletop game industry has partnered with GW to showcase exactly how to play Age of Sigmar 2.0 – Becca Scott takes you step-by-step from the basics all the way to the Battleshock Phase in an easy to follow tutorial. New to Warhammer: Age of Sigmar? Or maybe you just want to get a rundown of the changes to the game. Either way Games Workshop new Age of Sigmar Website has a fantastic series of tutorials from Becca Scott, of Geek and Sundry fame. There is a ton of great info if you’re just getting started. I found the painting section pretty helpful. While I’m familiar with all the techniques that Peachy goes over, I still think it’s perfect for beginners or anyone who wants to brush-up on the basics. Overall all of these new Age of Sigmar videos are simple, clear and concise. They don’t get much better than this folks. If you’re looking to take the next steps beyond purchasing the Age of Sigmar: Soul Wars box then check out the new Age of Sigmar page, watch the videos and follow along with all the step-by-step guides with real industry pros! 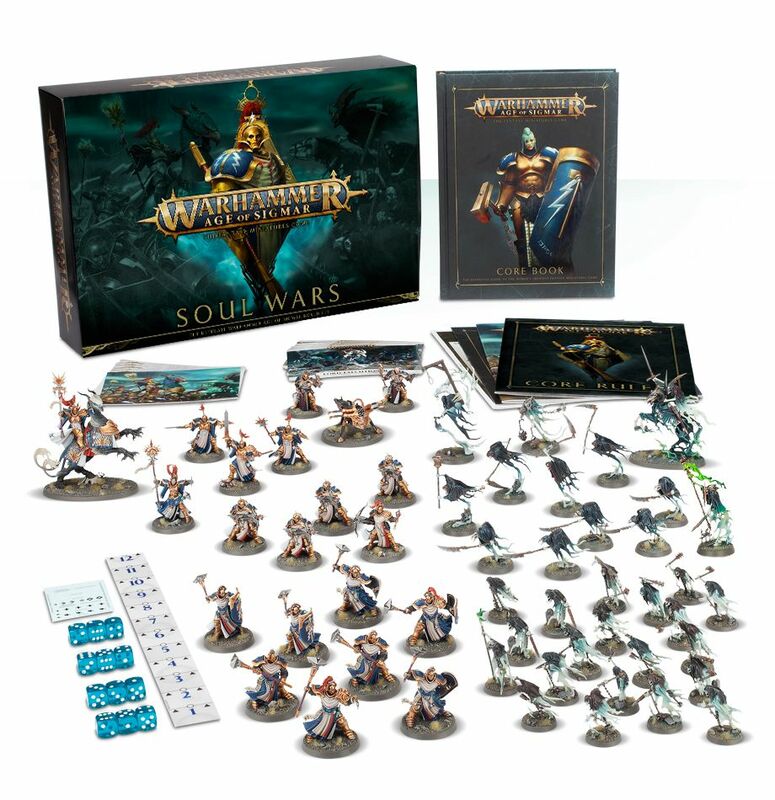 Age of Sigmar: Soul Wars – Up for Pre-order this weekend!